Californians are no strangers to the clean energy revolution. Our state is a leader in smart energy policies that protect our environment and preserve our natural resources. In San Diego, we can do our part to keep our state golden for years and generations to come. As a member of the deaf community and the deputy director of Deaf Community Services of San Diego, I believe it is important to engage every Californian in the clean energy movement, including members of the deaf and hard-of-hearing community. That’s why our organization has teamed up with Energy Upgrade California—a statewide initiative aimed at helping Californians better understand and manage their personal energy use. In a recent Energy Upgrade poll, 77 percent of San Diego residents reported feeling a responsibility or social obligation to engage in the environmental movement by managing their electricity use. While feeling a responsibility is the first step toward taking action, through this partnership we are able to help teach our community members to make a conscious effort to think about how much energy we use, and also understand that when we use energy is just as important. Via our partnership, we are translating energy management tips into informational videos featuring American Sign Language. For example, we’re providing education that encourages shifting personal habits to make better use of electricity that is created when the sun is out and the wind is blowing, and using less during the hours of 4 p.m. and 9 p.m., when clean energy is less accessible and demand becomes higher. By making energy education accessible to all, we are hoping to engage more of our community in the larger effort to help all Californians become environmental stewards. 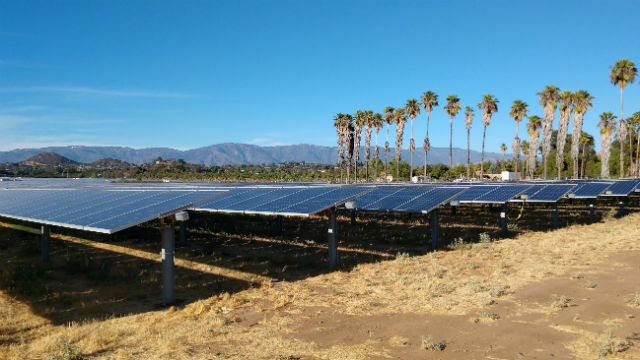 Not only will this help the overall environment, but it will empower deaf and hard-of-hearing individuals to take greater ownership of California’s energy future. As Deaf Community Services continues to educate our members about the importance of using energy wisely, our goal is to provide the deaf and hard-of-hearing community unprecedented access to tips and tools that will help them make better energy decisions. Allie Rice is deputy director of Deaf Community Services of San Diego. For more information on energy tips, visit energyupgradeca.org.